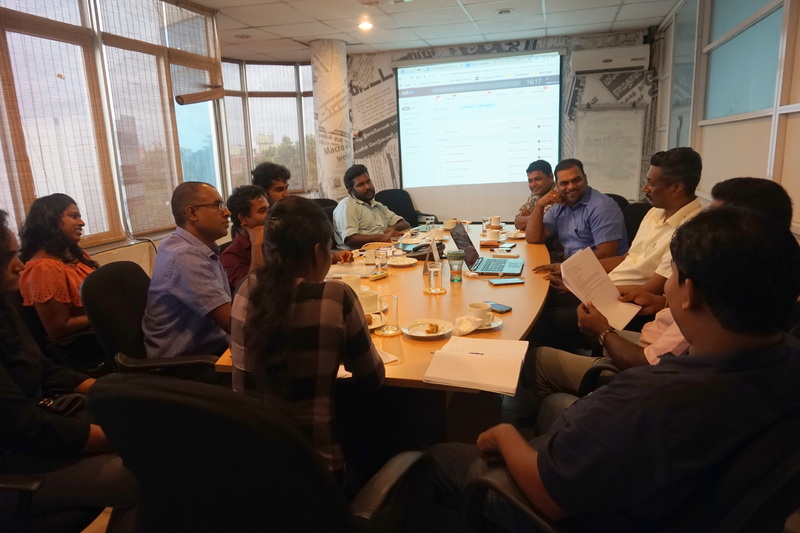 The committee which was formed to educate Journalists on Right to Information(RTI) Act had its second meeting on 3rd July 2018 at Sri Lanka Press Institute. At the first meeting, the members discussed issues pertain in the country and RTI applications were filed. These were discussed at the second meeting and the answers which were received for those were taken into consideration. Furthermore, other issues which RTI applications could be filed were discussed. The main objective of the committee is to create awareness and implementation on RTI and uplift the professional integrity of journalists. The committee meets on first week of every month. තොරතුරු දැනගැනීමේ පනත පිළිබද ජනමාධ්‍යවේදීන් වෙනුවෙන් සකස් කළ සංසදය දෙවැනි වරට 2018 ජුලි මස 03 වන දින ශ්‍රී ලංකා පුවත්පත් ආයතනයේදී පැවැත්විය. පළමුවර පැවැත් වූ සාකච්ඡාවේදී රටේ පවත්නා විවිධ ගැටළු පිළිබද සාකච්ඡා කරමින් ඒ සදහා තොරතුරු ඉල්ලීම් යොමු වූ අතර, ඒ ඒ ආයතනයන් වලින් ලැබුණු පිළිතුරු පිළිබදවද එහිදී වැඩි දුරටත් අවධානය යොමු කරමින් විවිධ අදහස්ය දක්වන්නට විය. අනතුරුව ඉල්ලුම් කළ හැකි තවත් ගැටළු පිළිබද එදින අවධානය යොමු විය. තොරතුරු දැනගැනීමේ පනත ප්‍රචලිත කිරීමේ, සක්‍රියව ක්‍රියාත්මක කිරීම හා ජනමාධ්‍යවේදීන්ගේ වෘත්තීයභාවය නගා සිටුවීම මෙහි ප්‍රධාන අරමුණ වන අතර සෑම මසකම පළමු සතියේ මෙම ජනමාධ්‍ය සංසදය රැස් වේ.